Max Polyakov, a serial entrepreneur, has obtained 6 patents to protect his business interests overseas. As such, Max Polyakov shares his recommendations before applying for legal product protection. 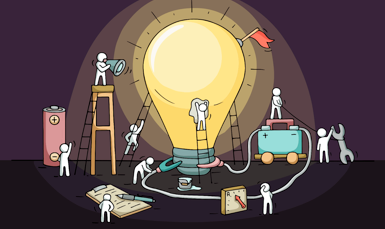 Knowledge and creativity are common ingredients of a successful entrepreneurship recipe. What is more, versatile entrepreneurs like Max Polyakov, managing partner at Noosphere Ventures, recognize the importance of legal product protection, or to be more precise, patents. Max Polyakov came up with several novel concepts relevant to social networking, Ad Tech, social online gaming and the space industry. That is why, he realizes that innovation activities and patents go hand in hand. Without a doubt, a patent is a valuable legal tool for entrepreneurs to secure a product or idea from infringements by other inventors. Nevertheless, it is not the first step to take and inventors need to choose wisely whether to patent or not. With his first-hand experience in filing for 6 patents for online technologies, Max Polyakov outlines some basic points to take into account before starting the application procedure and spending money on it. 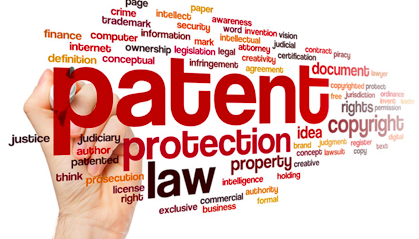 To begin with, patents are known as territorial rights fitting appropriately with laws of a certain country or region. Although an international patent doesn’t exist, that doesn’t mean that inventions can’t be protected in multiple countries at the same time. This particular aim can be achieved by means of a two-phase ‘international’ patent application through the Patent Cooperation Treaty (PCT). Max Polyakov mentions that in such a way there is no need to waste extra money or time by making every single national or regional application in different jurisdictions. Once the application is filled and checked to see whether the invention is unique (regional phase), offices in particular countries start the procedure of granting patents to protect products overseas (international phase). When it comes to the length of the whole process, it varies depending on the country or region of the application, and the patent complexity. Thus, less sophisticated patents may require 24 months to be granted in marked contrast to 4 years for more complex ones. It goes without saying that it is better to look for similar patents that already exist worldwide. Even though a product hasn’t made it to market, the patent for it could still have been granted. Interestingly, barely 3% of patents across the world come on market, whereas Max Polyakov gets use of all his patents in terms of business processes. Building a working prototype should be the top priority in Max Polyakov’s opinion. There is no point in applying for a patent at the early stages without having a prototype, as further alterations to product design may well occur. That is to say, if people start manufacturing in keeping with another design than initially planned, a new patent process for the same product would have to be filed. For instance, Max Polyakov released a mobile game, Slot Journey, in 2012. It took one year to put all the finishing touches on the game. This is why Max Polyakov only decided to file a patent for it in 2013. Another important issue to take into consideration is the potential market research. It serves no useful purpose to apply for a patent unless the potential market is big enough. Having obtained 6 patents, Max Polyakov is familiar with the nuances of how to secure businesses in the global market. He is convinced that whether you are a newcomer or a seasoned entrepreneur, intellectual property protection should not be neglected.